Too often, content marketers tell themselves that they can’t accurately measure their results, or a tactic isn’t measurable, or that they don’t feel comfortable measuring content. These are defeatist statements, hanging over your content marketing like a dark cloud. If you find yourself falling into this camp, don’t fret: You still have time to get on the right track. We’re delighted to release this brand-new, free eBook – A Field Guide to the Four Types of Content Marketing Metrics – produced in cooperation with our friends at Content Marketing Institute. This eBook draws from my presentation about how to measure content marketing that I delivered at this year’s Content Marketing World. 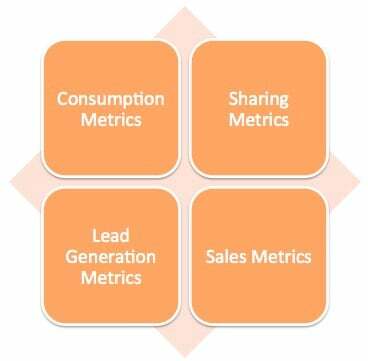 It looks at the four key categories of metrics, how and when to deploy them, and how to measure real ROI. Content is the means, not the ends. The goal isn’t to be good at content. The goal is to be good at business because of content. I hope this new eBook will help you in your quest. I’d be delighted to hear your thoughts in the comments, and your tweets and shares and +1s will be most appreciated.